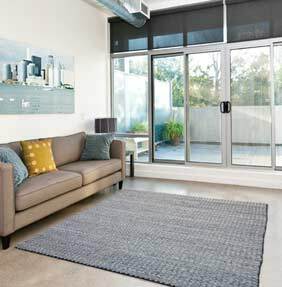 With a simple yet classic design, which works in many different styles of home, the Thin Cable rug collection offer luxury and comfort in perfect harmony. A choice of different colours and a strong durable design makes this the perfect rug for busy homes and high traffic areas. 100% high quality felted New Zealand wool is used to make each rug and it has a soft-to-touch finish and a fairly deep 30mm pile height. The range of colours allows you to find the right shade for your home and create a stylish feature which is super comfortable too. A range of sizes further enhances your options.